Holden have a new mid-sized Equinox SUV is the replacement for Holden Captiva, and its interesting route in promoting the new mid-size SUV is hard to miss. Holden have adopted a new style approach with the help of Australian actress/singer/business owner Natalie Bassingthwaighte’s clothing brand, Chi Ki. The eye-catching design is sure to raise awareness of the Equinox ahead of its launch date. 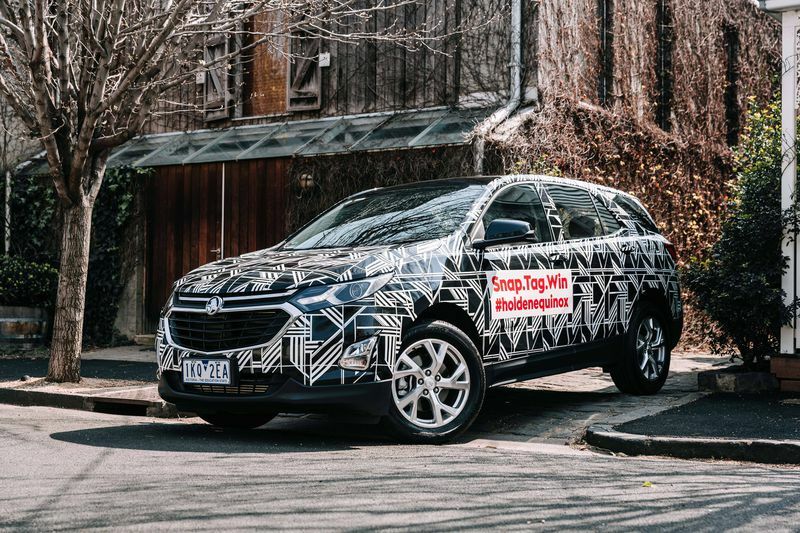 Holden’s local engineering group is conducting real-world testing of the all-new Equinox fine-tuning suspension, active safety radars and radio tuning. Under the hood, a 2.0-litre four-cylinder turbocharged petrol engine that produces 186kW and 353Nm will power the SUV. “We’re really excited about the new Equinox, especially now our test vehicles look so good with Natalie’s design!” said Holden’s Executive Director of Marketing, Mark Harland. Get your camera’s prepared, Holden are encouraging people to keep an eye out for the new Equinox Art Car to snap a picture and post on social media using hashtag #HoldenEquinox to enter a chance to win a trip for two to Noosa! Three of these uniquely Chi Ki designed Equinoxes are driving around Melbourne – so keep your eyes pealed Melburnians! With this you can stay updated on the Holden Equinox by visiting Holden online.